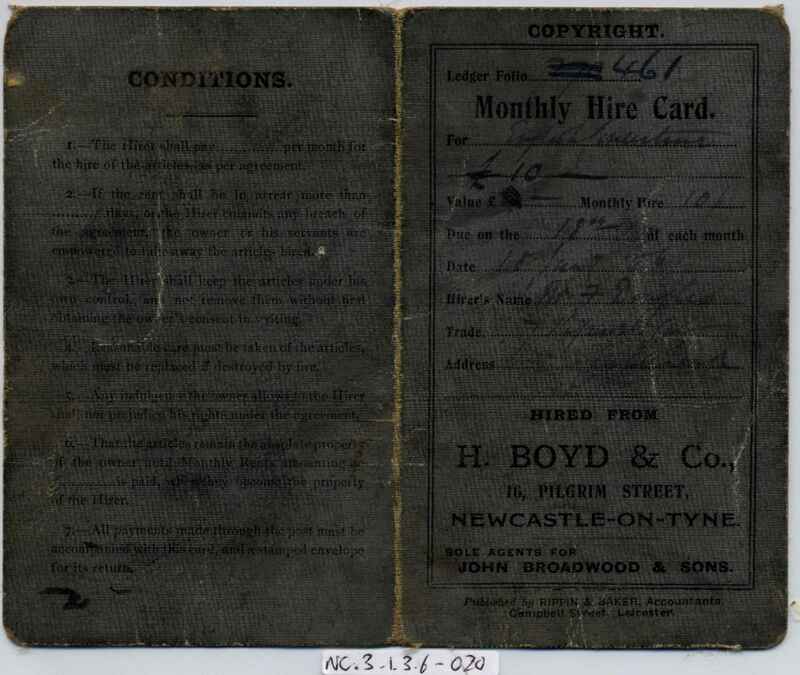 Full Description: Two Durham players: The Edward Douglas (blind concertina player) and J Stead (concertina Teacher) archives: Edward Douglas’ Hire Purchase card from H Boyd & Co, 16 Pilgrim Street, Newcastle-on-Tyne, for the purchase of an English concertina. 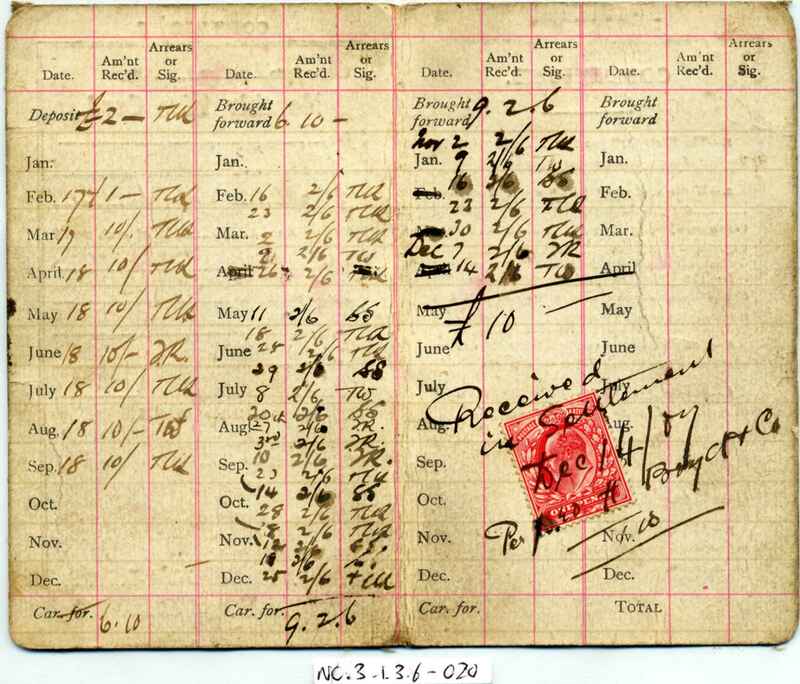 The instrument cost £10, and was paid at 10/- per week, each payment listed, dated and signed for in the Card. The Card is endorsed “£10 Received in Settlement, Dec 14th/07 (06? ), per H Boyd & Co”.